Before starting the discussion about wholesale business, you should know about what a wholesale business actually is. And how does it work? And, what you will need for starting the business. 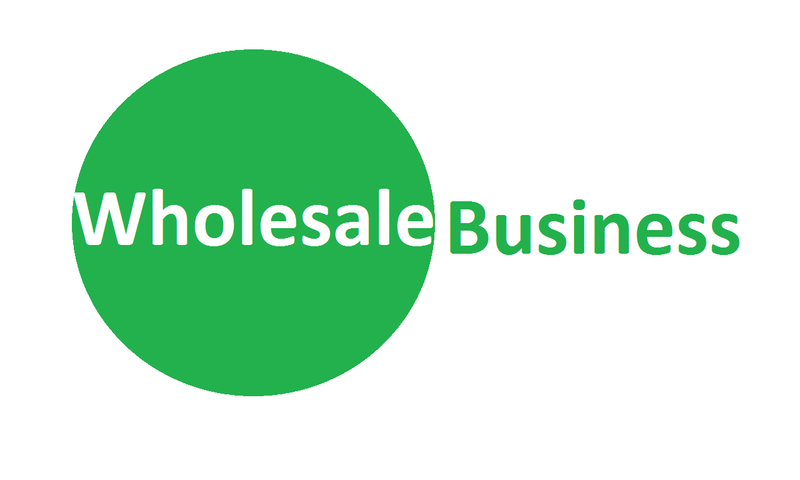 So, what is a wholesale business? A wholesale business is a type of business in which the buyer or the wholesaler buys the product in large portions from a company or from the producers. And later divides those large portions into small segments and re-sales them to the retailers. A wholesaler never sales his products directly to the customers or consumers. A wholesaler’s target customers are always the retailers. And the customers also never buy from a wholesaler. Wholesalers also have target products and areas. They only buy some specific products and sells them in their target areas. They never go beyond their target areas because of their own goodwill. By now, I hope that you are pretty much clear about the idea of wholesale business. And I think you can also guess one more thing along with that. And that is the cost of starting a wholesale business. As you will have to buy a large number of products from the producing companies then without any doubt it will cost more. Now it’s the time to discuss what you will need to know and what you will need to do to start a wholesale business. First of all, the most important thing that you will need is the idea and knowledge of the business. It would be even better if you have a little an experience of business and its surroundings. Business is not an easy term to understand and handle. Not anyone can be a perfect businessman. A perfect businessman needs hard work, passion for his goal, skills, proper knowledge of business, and the managing power. If you think that you have the shortage of these qualities. Then I will say, this is not for you. You better step back and try something else. If you think that you do have all these qualities in you than you are good to go. As I have already mentioned earlier about the cost of a wholesale business, so you should prepare your body and mind about that. You can pretty much guess your budget for this business. So, for business-related knowledge, if you are a student of the business section then it’s okay for you. But if you are not a student of business or marketing then you will have to do some work on that. You will have to read some business knowledge related books and get to know about the do’s and don’ts of a business. After you attain enough knowledge about business and business management, you can confirm your budget for the business. You can either start with lots of products or with a few products. It all depends on your budget. If your budget is high then you can easily go for a big start. As you are going to deal with large amounts of commodities then for sure you will be in need of a storehouse for that. And also for transferring the products from the companies to your storehouse, you will need transferring vehicles. In that case, you can either buy those vehicles or can hire. But if you want a long-term benefit then I would prefer to get one of your own. Of course, it also depends on your budget amount. If it goes beyond your budget amount then leave it. After you bring the products to your storehouse, you will need people or workers to take them in and arrange them in the storehouse. So you must hire some workers for your business. You may need ten to twenty workers or even more than that depending on your business size. You will need some workers for cleaning the storehouse, some workers for arranging the products, some for bringing and receiving the products after properly checking, some for dividing them into small portions, and deliver them by orders, someone skilled for managing all these things perfectly. For keeping your products well stored and selling them to the retailer without any damages, you will need a 24/7 air controlled storehouse. As you are not buying only one product, you will need difference sectors for different products. Because every product has its own quality and requirements when it comes to storing. So you should maintain that too. If you rent your storehouse then you will have to pay the rent but if you buy or have one then you will not need that. Instead, you will have to pay the tax bills. Also, you will have to pay your electricity bills on time as it is the most important thing for storing commodities and keeping them free from damage. After all these, you will need to deal with the retailers to sell your products. You will have to make contracts with the retailers that you will provide them the products according to their desires. You can either deliver their products every week or after every 10 days or even every month. It will also depend on the buyers’ desire. Your management skills will pay you back through profits. So, whatever I have discussed till now are enough for you to get the idea of wholesale business and its management. I think, you also got the idea about the amount of the budget which you will need to start a wholesale business. Count the total cost and make your budget. And that’s it. You are ready for climbing the mountain. Hope my discussion helps you in finding your success and reach your goal. Best wishes for you.